Days after a major retailer of children’s makeup cleared shelves after a customer accused the company of peddling asbestos-laden products, the business is now insisting the products are asbestos-free. The products were yanked after one customer reportedly tested her daughter’s makeup and alleged asbestos was found. Now, the retailer says it has conducted its own testing (specifically on a brand of glitter makeup) and insists there is no asbestos therein, according to CNN. As our Boston asbestos exposure attorneys can explain, a lot of the issues have to do with the testing process. There is no way to add a chemical reagent to the material and see if it turns a specific color like you can do when testing for the presence of drugs for example. There is also no way to do a head-space analysis since it is a mineral. 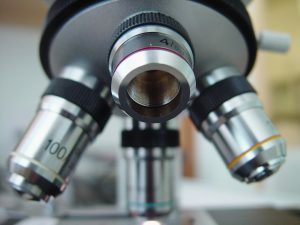 The way you test for asbestos is to put the material under a microscope and manually look for the deadly asbestos fibers. For anyone trained to identify the fibers under a microscope it is generally not hard to do. If you were to take pure asbestos minerals and look at them under a microscope, it would not be hard to see them. This should of course only be done in a safe laboratory environment with proper safety clothing and gloves as well as a NISOH-approved respirator, but it is generally not hard to do. The testing gets more complicated when there a material that is not made entirely of asbestos, but is suspected of containing some asbestos material. When the lab that tested the makeup for the customer who sent in her daughter’s makeup examined the samples, he allegedly found asbestos in the glitter makeup and then used various packages of the same product from stores in a wide geographical area and tested those as well to confirm his findings with samples not supplied by the customer. This is not to say he thought she had put asbestos in the makeup herself, but it is part of good lab testing techniques. What he allegedly found was asbestos in each and every sample he had tested. He did however, say that he had to look hard to find the asbestos in some of the samples. What this means is that a lab could easily do a quick inspection of the material and confidently say they found no asbestos during their tests. This would be a lab at the company so they might have an interest in not finding asbestos rather than confirming the findings of the tests of a potential plaintiff in an defective products lawsuit. This brings up several issues. The first issue is that there is no such thing as a safe-level of asbestos. There is no reason asbestos should be in a consumer product, and if it is, any amount would be too much. As discussed by the Oregon State University (OSU), any level of asbestos exposure can cause malignant mesothelioma, which is as we known as deadly form of cancer. It is true that the more exposure in terms of quantity and time a person is exposed to deadly asbestos fibers, the greater the chances they will develop mesothelioma, there is no such as thing as being in the clear because you were only exposed to a small amount of asbestos. As also discussed by researchers at OSU, when asbestos is friable, it is in its most hazardous form. This means that the material containing the hazardous fibers are able to be crushed or crumbled by hand. When it is in this form, the asbestos is easily released into the air where it can be inhaled or ingested. This is important to note that when it is eaten or a liquid containing asbestos is consumed, one can get sick just as easily as when it is inhaled. While many people think of getting mesothelioma in your lungs, which occurs in over 90 percent of the cases, it can occur in the abdomen as well because the abdomen is protected by a layer of tissue known as the mesothelium. It is this layer, whether in the lungs, abdomen or chest, where the fibers can be embedded and slowly metastasize into the deadly cancer known as mesothelioma. Any asbestos material that would be in makeup is friable because most makeup is nothing but powder meant to be brushed on the face. There is dust given off every time one applies makeup. In some cases it is easy to see a cloud of dust and in others it is not, but it occurs based upon the very nature of the product. We are dealing with makeup being used on children, so if there any asbestos fibers in the product based upon allegations, it would certainly but the children a risk for developing malignant mesothelioma later in life. While this particular company has denied their products contain asbestos, they have said they will honor any customer’s request for a refund if they are worried about using the products on their children, and they have also said they have not made any decisions about whether they will still sell the makeup. To the company’s credit, they pulled the makeup from the shelves and have not restocked it as of the time of this article.